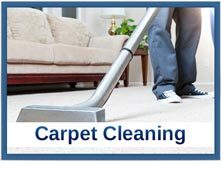 Welcome to our website we are a family run carpet and upholstery cleaning company specialising in domestic and commercial carpet cleaning Manchester with over 20 years experience. We serve a wide range of clients from the average home owner, landlords of houses to larger commercial premises, pubs and restaurants. We undertake all types of different cleaning tasks tailored to suit the individual clients requirements. As a family run business, it means all jobs are carried out by myself and members of my family meaning none of my jobs are contracted out to third parties or casual workers. I have been providing this service in Manchester for over 15 years now so as you can imagine there have been many problems that I have had to overcome. The price quoted is the price that you pay. . I have even had to get a carpet cleaning machine to the top of the Hilton in the past. I specialise in stain removal and am also an expert at chewing gum removal. If there is a way to get a stain out of a carpet then I will know it. We have been providing a service in Manchester now for a long time and we know access and parking is a problem and costly in Manchester centre. This is no problem for us any price quoted includes parking and any extra time incurred by myself so you get no nasty hidden extras. Regardless of how often you vacuum your carpet, it is essential they are professionally deep cleaned regularly, we would recommend every 12 months at least. Having your carpets cleaned removes all the dirt and debris that gets trapped in the pile such as dust mites, tiny insects, fleas and dead skin. For larger families or people with pets, We would recommend a wet clean perhaps every 6 months depending on spillages, as stain removal is far easier when it has not been left for too long. 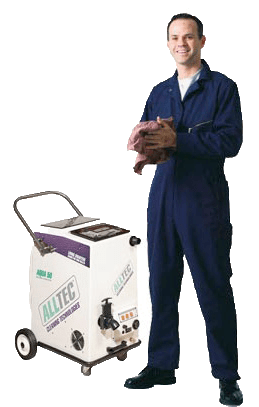 There are numerous benefits to getting your carpet cleaned, These include significantly improving the indoor air quality in your home. This can drastically help customers with respiratory ailments such as asthma, we only use 100% natural products. All of our carpet cleaning products are biodegradable, so we are also doing our bit to help the environment. We don’t use any cleaning products that contain bleach or other harmful toxins. Also all of our vehicles are also virtually emission free so whilst covering the Manchester area cleaning carpets and upholstery are responsible for being as green as possible. Having your carpets & upholstery professionally cleaned can also significantly extend the lifespan of the fabric leaving your carpets and upholstery brighter and fresher for longer, preventing stains from becoming ingrained and virtually impossible to clean. so if you’re looking for carpet cleaning Manchester make sure you give me a call. We also offer a commercial carpet cleaning Manchester service. this is the same principal as the normal service but on a much large scale I can clean pubs offices and even clean full apartment blocks. I have a full portfolio of work I have carried out and references and I have up to date risk assessments and method statements I have 5million public liability insurance and all of my work is fully insured for any mishaps. All health and safety safe practices are adhered to we use anti trip cable covers and have all the correct singe and barriers so we can clean your carpets whilst your still open if you need to pop in feel free to pop in to our Manchester office and discuss your needs. 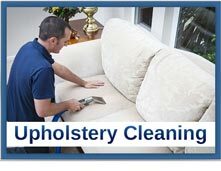 We also carry out upholstery cleaning including sofas, chairs and poufs. We also offer leather furniture cleaning, Having a leather suite cleaned by us will prolong its lifespan by keeping it supple and flexible because it feeds the leather as well. After cleaning the sofa by hand using professional cleaning products, we then treat the furniture with a leather conditioner to help return it to tip top condition. If you would like to see this in action you are welcome to visit our Manchester office to watch a demonstration.